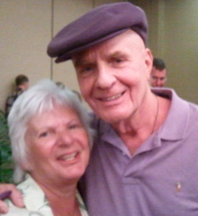 The following activities reflect the publishing, promotion and publicity of our 2 books published so far: "What the Future of Humanity could be" and "Awakening, our soul journeys"
Meeting with Dr. Wayne Dyer on Feb. 2013 asking Wayne to write a foreword to our book. In his book entitled "Wishes fulfilled" Wayne writes very highly of Master Omraam Mikhaël Aïvanhov saying: "One of my spiritual teachers, Omraam Mikhaël Aïvahnov―The Bulgarian mystic philosopher and teacher of the Universal White Brotherhood―has this to say [...]" p. 143 in the chapter "While you sleep, your subconscious mind works[...]". "The Point of Light" Body Mind Spirit Store and Centre. This is a presentation and book signing on June 22, 2017 located in Newmarket, suburb of Toronto. "I wanted to share with you that I’ve been reading some of Omraam’s books and thoroughly enjoying them! In some ways, I can’t believe I’ve have only now found this lineage. But all in Divine timing as they say. For me, his words and works are absolute truth and resonate with all that I’ve learned. The beauty is that they are such an easy, practical and accessible form of the Teaching! (I’m speaking of the Izvor collection having only ventured into these so far). So many other valuable works out there are very academic, veiled or difficult. 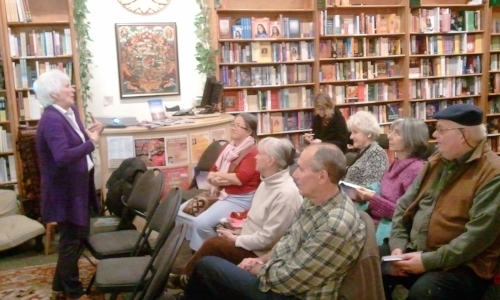 Cinzia, one of our employees, has embraced his teaching as well and often at the store we’re asked for our recommendation on spiritual books for “beginners” or those just embarking on their spiritual journey in this lifetime. I’ve wished for some books of Truth that we could point people to without reservation. The universe has answered…these are the books!!! I’m so happy that we have connected and these books have come into our awareness. I just placed an order for another 30 books for the store. Your journey here definitely had a purpose (of course) and more people will be touched by the Master’s words. I’m in the middle of reading his biography which paints a picture of the journey of a true Initiate! It’s so fascinating and inspiring! I will be sorry when it comes to an end, but luckily there are many more books to read! The new Aquarian Team website looks great! Many blessings to the team on all your efforts to promote the work. We will do what we can. Mark is the president/owner of Ariane Editions, the publisher of the French version of our 2 books. The Aquarian Team was invited on Oct. 6, 2013 to introduce their book at the symposium for a book signing and Carmen agreed to go. Several of their best authors were invited to speak and over a thousand people attended the event. All the French copies of the book brought for the event were sold and more had to fetched from the office of the publisher. 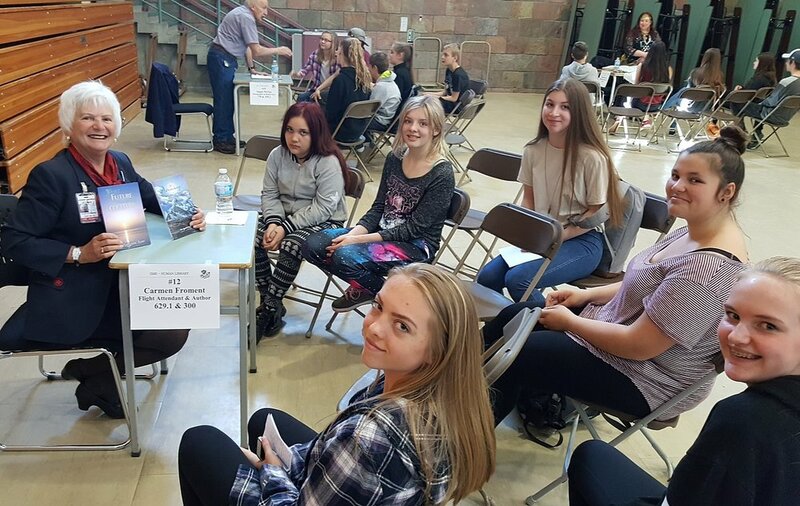 The Human Library day at the Glenrosa School where "Living Books" address to students about their profession. It was the 3rd year that The Aquarian Team was represented through their first book originally and then their second books. Carmen was also representing the flight attendant profession and the advantages of being bilingual. Banyen is the main esoteric bookstore in Vancouver, BC. They have been carrying the books of Master Omraam since 1981. The room for the Banyen presentation was full to capacity with standing people. It was scheduled to last 1 hour but lasted over 2 hours with many questions about the Teaching and the Omraam Mikhaël Aïvanhov. Many of his books were sold that night as well as ours.